Plan for former Farm Colony would entail the demolition five out of eleven historic structures in the district, create senior housing. 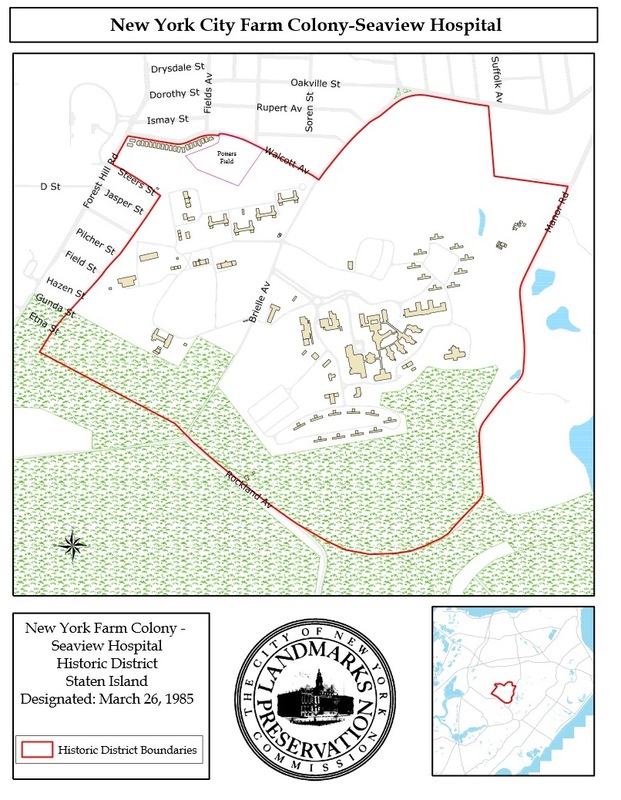 On September 30, 2014, the Landmarks Preservation Commission considered an application for the redevelopment of the New York City Farm Colony-Seaview Hospital Historic District, located in Staten Island in the Castleton area. The 45-acre property, which housed indigent and disabled New Yorkers in exchange for labor, operated roughly from 1898 to 1975, and was developed from 1874 to the 1930s. In addition to being a landmarked historic district, the Farm Colony is also zoned in a special natural area district, which mandates the preservation of any unique natural features. The colony’s buildings have been little maintained since its abandonment. The City has been actively working to revitalize the area since the 1990s, with the most recent request for expressions of interest issued in 2012. 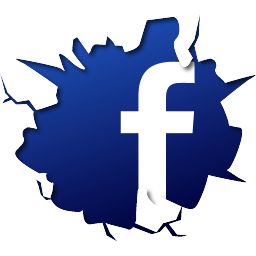 Staten Island-based NFC Associates were selected as the developers. The New York City Economic Development Corporation’s Nathan Gray noted that the site had been unoccupied for thirty percent of its existence, and the proposal represented the “best opportunity to save the Farm Colony before it’s too late.” He said the development would create approximately 350 units of housing for residents aged 55 or older, as well as commercial and community facility spaces. Because of degradation over time, five of the eleven existing historic buildings in the district would be demolished. Five other buildings would be rehabilitated and repurposed, and one would be stabilized and preserved as an “arrested ruin.” New residential and commercial buildings would be constructed as part of the development. A potter’s field in the district would also be preserved and a memorial erected. Because the Public Design Commission already approved the planned demolition, Landmarks only would issue an Advisory Report on that aspect of the project, while its determination on the new construction in the district would be binding. Architect and former Landmarks commissioner Pablo Vengoechea, of the firm Vengoechea and Boyland, presented the plan for the new developments in the district, which would, for the most part, continue the architectural vocabulary and materials of the existing buildings. New structures would maintain the districts tradition of free-standing symmetrical buildings. Existing buildings would be infilled and added to their existing vernacular, as with a new mansard story added to a former dormitory building. Stone gatehouses would be built at the entrances to the development, a row of five fieldstone cottages would be constructed, as well as two clusters of carriage houses. The design of new clubhouse would recall red-brick farm buildings. A more contemporary retail building would be constructed with metal, glass, and brick. Landscape architect Nancy Owens presented the extensive work that would take place on the grounds. New roads would be built and the area significantly re-landscaped with native plants. Mature trees would be preserved and invasive species eradicated. Lighting and benches would be installed along pathways. A representative of Council Member Steven Matteo spoke in strong support of the project, saying the borough had a great need for senior housing, and calling the proposal an “ideal mix of future use and preservation.” John Kilcullen, of the Preservation League of Staten Island also urged approval, and said the organization was pleased with the “sensitive approach.” The Society for the Architecture of the City’s Christabel Gough called the proposal “rather brilliant,” and said she was glad to see a plan to reverse the “dire condition” of the district. The Historic Districts Council, represented by Barbara Zay, found the proposal largely successful, but recommended that some elements be replaced with higher-quality materials, and also opposed some of the addition of bulk to existing buildings. Landmarks Chair Meenakshi Srinivasan stated that both Staten Island Community Board 2 and Borough President James Oddo recommended approval. Srinivasan commended the applicants for their presentation and their approach to the “incredibly important” project. Commissioner John Gustafsson commented that, while ideally there would be no demolition, he characterized it as “a partial death,” that would “prevent this site from dying in its entirety.” Commissioner Michael Goldblum generally praised the proposal, but said the scope of the work did not allow the commission to give the work the attention it gives to other proposed work in historic districts, after only one presentation. Goldblum also found the contemporary design of the clubhouse building to “come out of left field.” Commissioner Roberta Washington also wished to see further information on the proposed new buildings’ scales, and examples of materials. Chair Srinivasan declined to call a vote, asking commissioners to spend time reviewing packets provided by the applicants, and asking the applicants to return to Landmarks at a later date to make a presentation in greater detail on the architecture of the proposed work. LPC: 475 Brielle Ave., Staten Island (16-2300; 16-1601) (Sept. 30, 2014) (Architects: Vengoechea and Boyland Architecture; Nancy Owens Studio).